Wouldn’t you like to drink out of this cup? 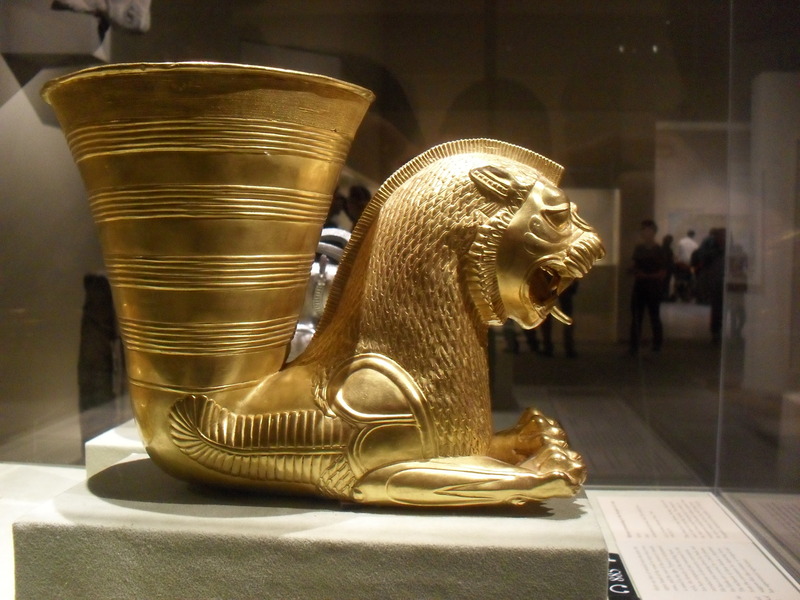 While crashing a guided tour my mom and I found out that this cup and the silver one behind it, were cups used to serve Persian King Artaxerxes. The silver one in particular was used by famous cup-bearer Nehemiah to serve the king! How cool is that?! In fact, the tour guide said that it is quite possible that these two cups were used by Queen Esther when she exposed Haman’s attempt at annihilating God’s chosen people. 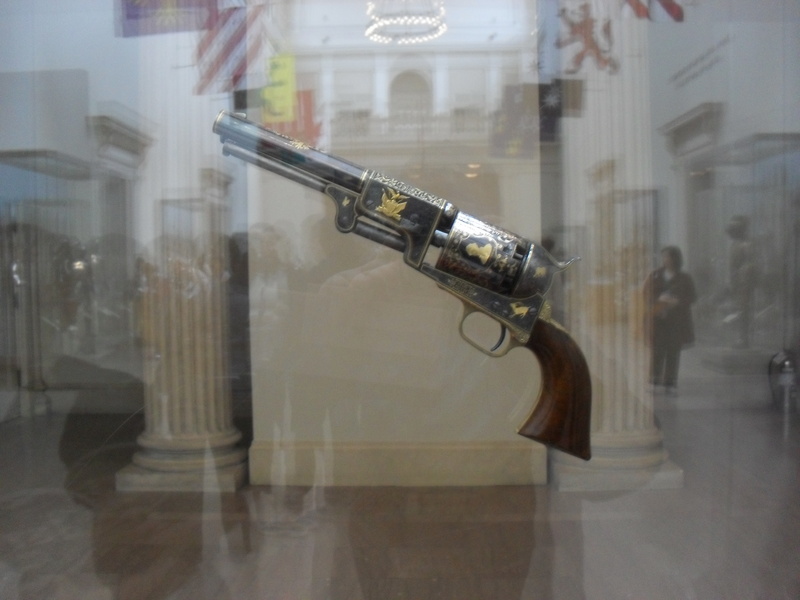 This little number is the third model of the Colt’s Dragoon .44 Caliber Repercussion Revolver (the sort of revolver that Maddie Ross carries around in True Grit)! Made out of steel, brass, gold, and walnut- this dates back to 1853! This is the Tara Brooch, not only did it’s familiar name (think, Gone With the Wind) draw my attention, but also how pretty and ornate this small piece was. 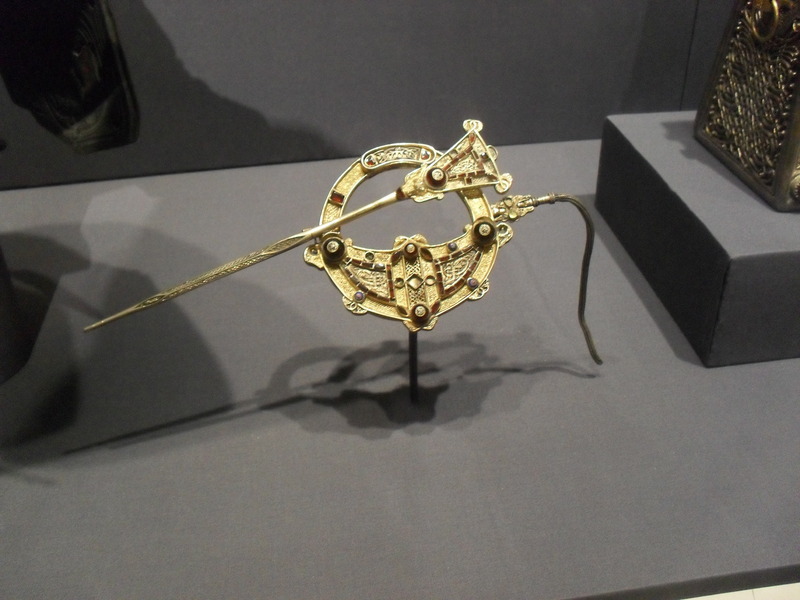 A reproduction of the original, which is at the National Museum of Ireland in Dublin, the brooch is said to exemplify early medieval Irish metalworkers achievements. Oh! 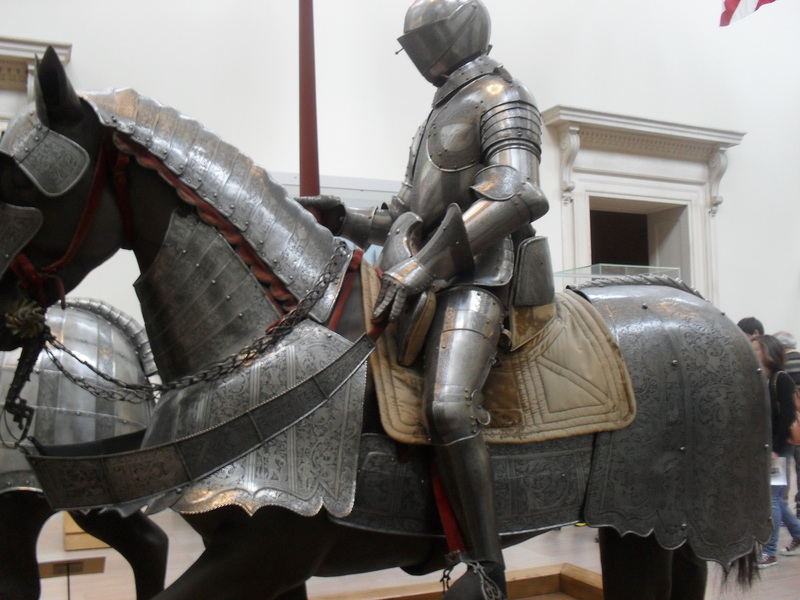 My knight in shining armor! I visit these guys every time I go to the MET, because, we’ll in case they suddenly come to life I want to be the first damsel in distress (scratch that, these guys are actually pretty short believe it or not). 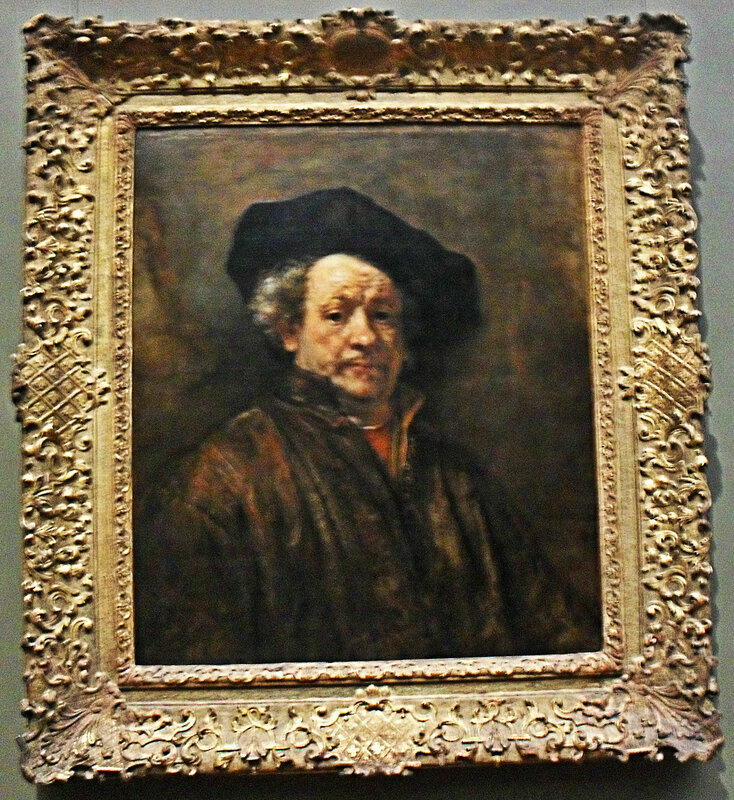 These are fantastic works of art! Thanks for sharing them!